"Today, we're launching a test to limit forwarding that will apply to everyone using WhatsApp," the company said in a blog post late Thursday. "In India — where people forward more messages, photos, and videos than any other country in the world — we'll also test a lower limit of 5 chats at once and we'll remove the quick forward button next to media messages," it said. 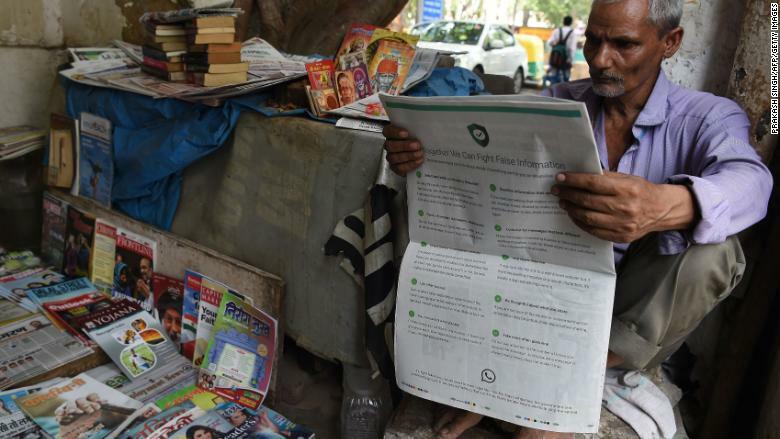 The company is not doing enough to combat the "rampant circulation of irresponsible messages in large volumes," India's technology ministry said in a statement released Friday. "There is a need for bringing in traceability and accountability when a provocative [or] inflammatory message is detected and a request is made by law enforcement agencies," it added. "When rumors and fake news get propagated ... the medium used for such propagation cannot evade responsibility." Facebook has been struggling for months to deal with questions about the kind of content it allows on its website and other platforms. CEO Mark Zuckerberg had to issue a clarification this week after outrage over his comment that Facebook doesn't need to remove posts by some Holocaust deniers. WhatsApp's latest experiment may do little to halt the spread of inflammatory rumors in India. India is WhatsApp's biggest market worldwide, with more than 200 million users, and the company has been expanding its efforts to combat the spread of misinformation in the country. 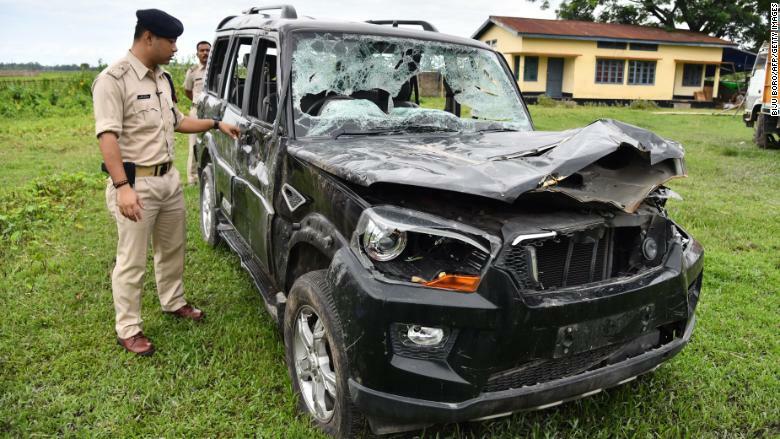 It is working with Indian researchers and authorities to help curb the spread of hoaxes ahead of the country's 2019 election in which Prime Minister Narendra Modi will seek a second term in office. 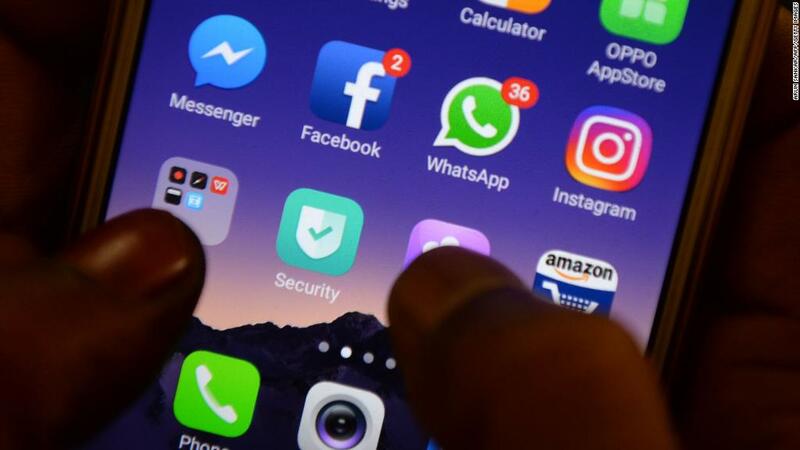 "WhatsApp recently engaged with the Election Commission and political organizers in India to discuss best practices for using WhatsApp — as well as how to prevent misuse ahead of the election next year," a company spokesperson told CNNMoney on Friday. "WhatsApp was built for personal and small group conversations and we've always taken a strong stand against spam of any kind."